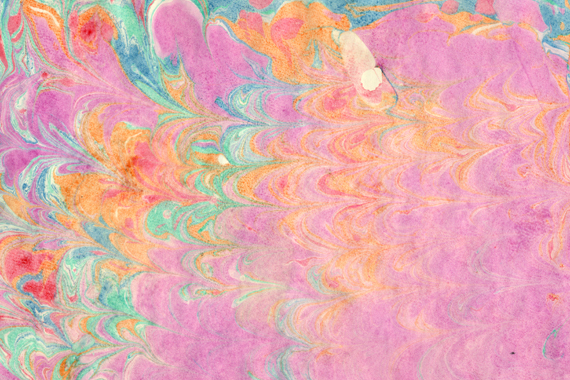 A couple weeks ago I had the opportunity to take a tutorial in marbling from Lynsey Ayala hosted by The Ladybones Print Collective. 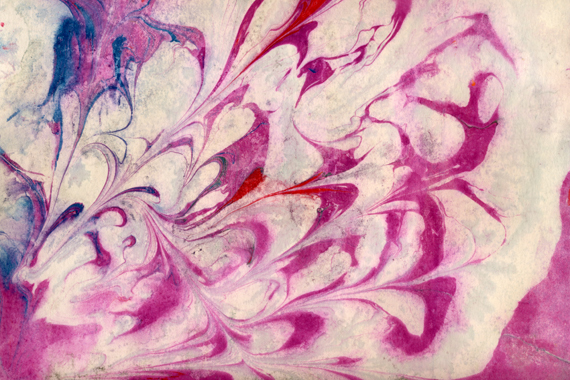 Check out some of Lynsey's amazing marbling work. I used a lot of pinks and purples in my prints as I figured the papers would be fun for making valentines. Do you see the few hearts in this print? 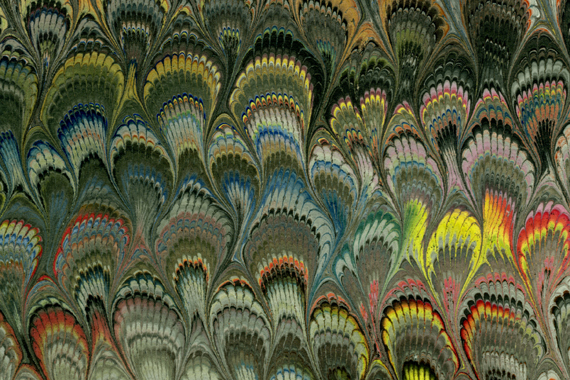 This marbled paper is from Il Papiro a paper shop in Italy. It was brought back to me from friends who visited. Paper hearts are the simplest valentines to make even if you don't marble your own paper. In grade school we cut them out of red construction paper. Step it up a notch and cut them out of a fine art patterned paper often easily found at art supply stores. 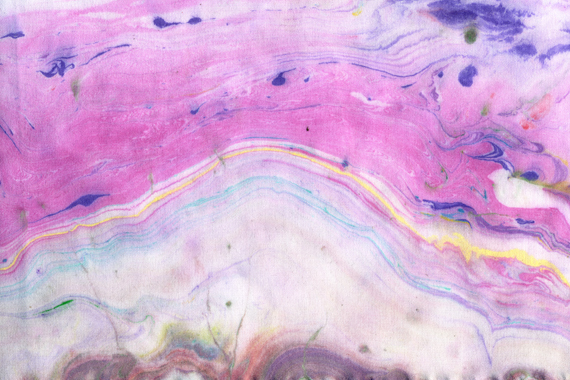 You may even find some marbled papers. 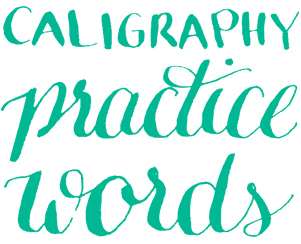 I suggest getting something heavy weight or plan to adhere to a card stock. Cut into a heart shape and voila, you have an easy Valentine. If you want to get a little DIY you can brush some water colors over a thick piece of paper to cut your hearts from. 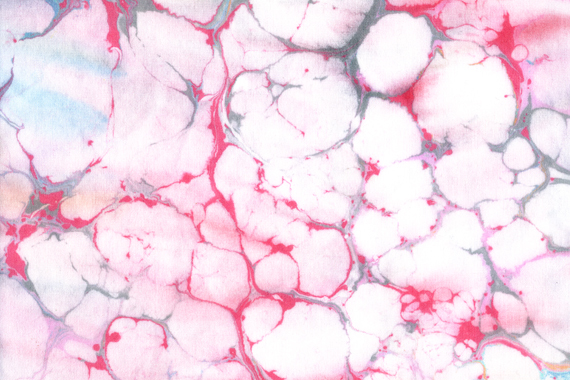 Left heart is purchased marbled paper. Right heart is cut from paper with watercolor strokes. As for the marbling I do not have a tutorial but I'll let you know the basics. 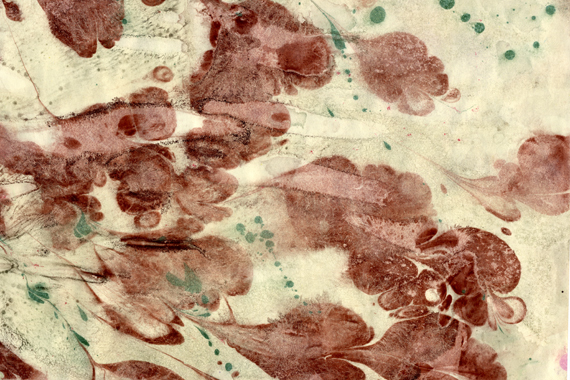 Marbling itself is a simpler concept than I expected. It's mostly about preparation. Set up: Prepare a shallow vat of water with Carrageen called size. In the workshop I took this was also referred to as gelled water. The vat can be as simple as a large tubber ware container. Pre-treat paper or cloth with Alum to receive the marbling. Do the first two things the day before. On marbling day mix acrylic paints with water to have the consistency of milk. Marbling: Drizzle your paint on the waters surface and the fun begins. Using various combs and sticks you can pull the paint to make your desired patterns. Lay a piece of treated paper on your pattern. Pull up and blot off or rinse the excess liquid. Whatever was on the surface of the vat will transfer to your paper. 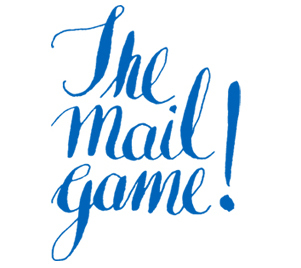 Here's a link with more thorough specifics. Below is a gallery of some of the process along with papers and fabric I printed. Acrylic paint floating on gelled water surface after combing tools have been dragged through it. 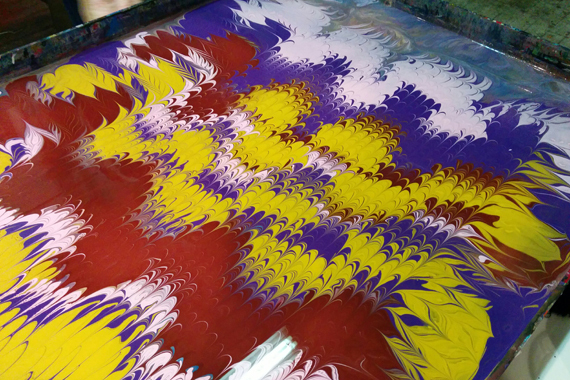 The same acrylic paint after photo flow has been dropped on the vat creating a veining pattern. My first attempt at marbling. This is from the same pattern as the previous image except this is printed on fabric. Lastly if you'd like to see my first super amateur Instagram videos relating to this I've got a couple here and here. Posted in Paper and tagged with marbling, handmade valentines, Valentines day, handcrafted valentines, paper. February 4, 2014 by Shasta Garcia.